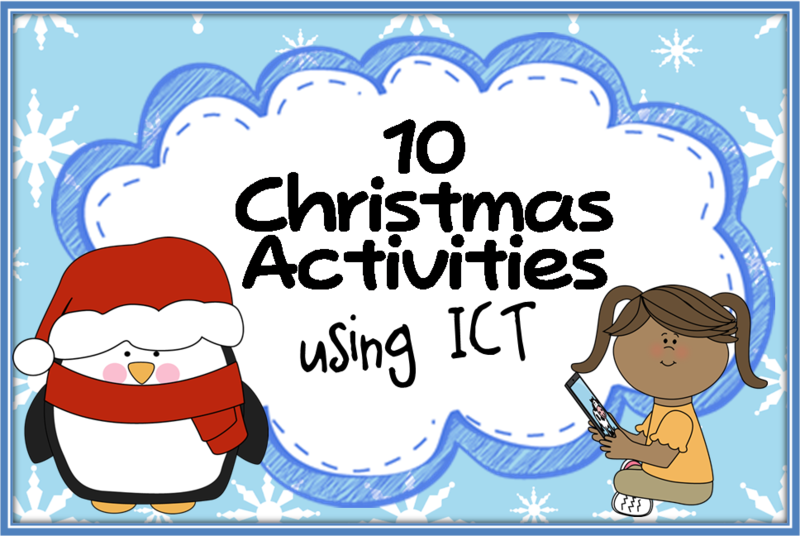 Below are some ways to use ICT to keep your children busy in the run up to the Christmas holidays! 1. 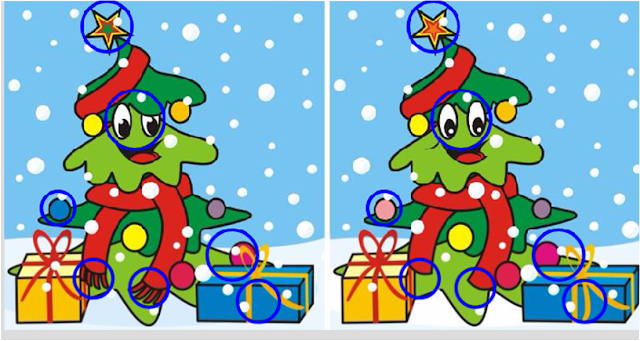 Create an augmented reality Christmas card. I'm very excited to try this out this year. This is done by using the app, Aurasma. Follow Paul Hamilton's simple tutorial below. Note: The children will need a mobile device and will need to create a free account using Aurasma. 2. 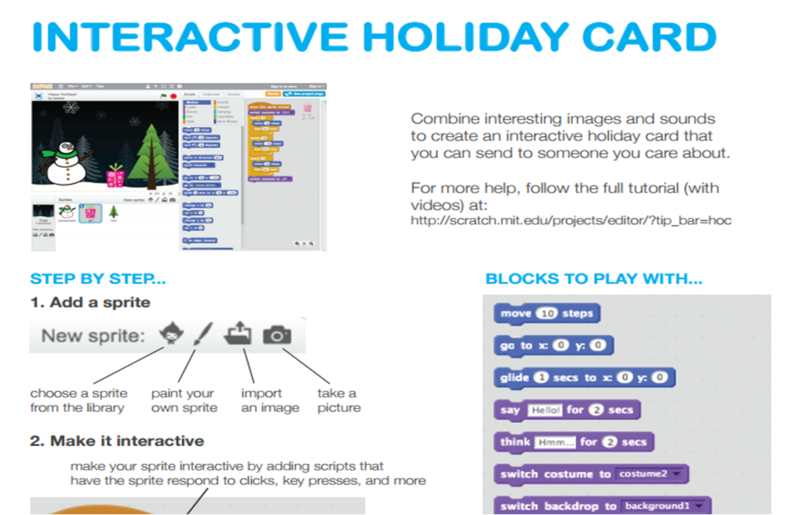 Make an interactive Christmas card using Scratch. Follow the simple instructions in this PDF. You only need to follow two steps so even absolute beginners could try this one! by squeezing the noses in this reindeer orchestra. This is dangerously addictive! 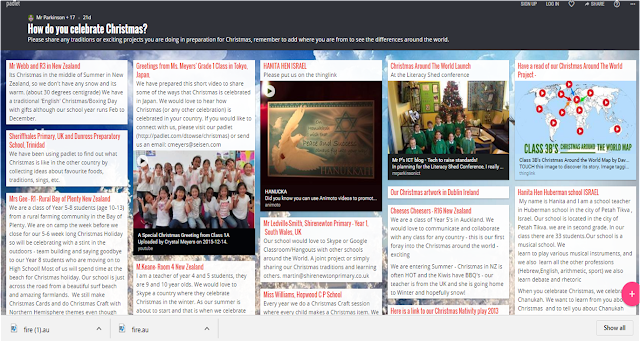 I love this idea from anseo.net - link up with another school and sing some Christmas carols to one another. 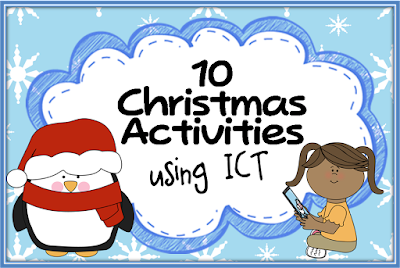 Join in with Mr. Parkinson's project (He's may be better known to you as the teacher from "ICT with Mr. P.") - add your Christmas traditions to his padlet (you can access from a computer or the app on a tablet device) or sign up for a Skype call. 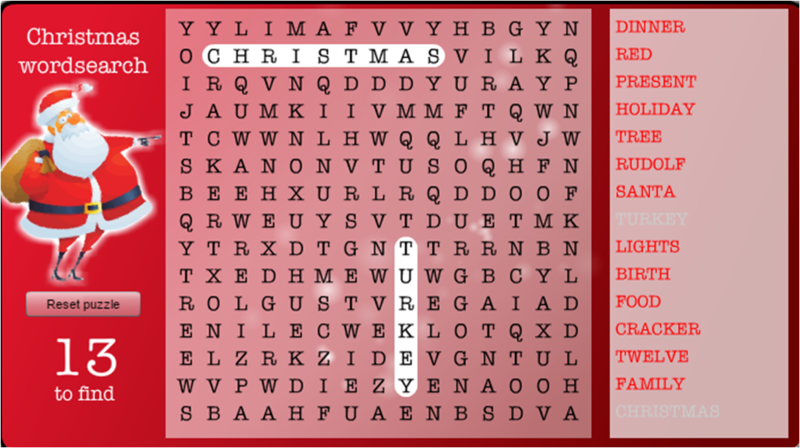 Feel free to use my Christmas karaoke playlist! Divide the children into groups. Each group needs to create a round of questions and present them on a suitable application - e.g. Keynote/Powerpoint. Then the whole quiz can be put together to be answered by all. 10. Let me virtually teach your class! 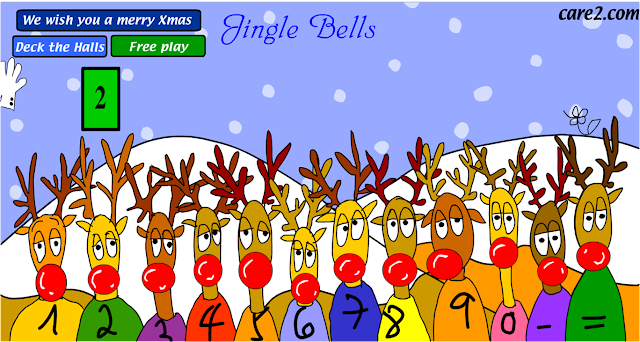 Sit back, relax and let your class join in to my video tutorial of Jingle Bell Rock. Then put on a karaoke version and let them perform it to the music. The dance is done on the spot so the children can stand in the classroom to do it.